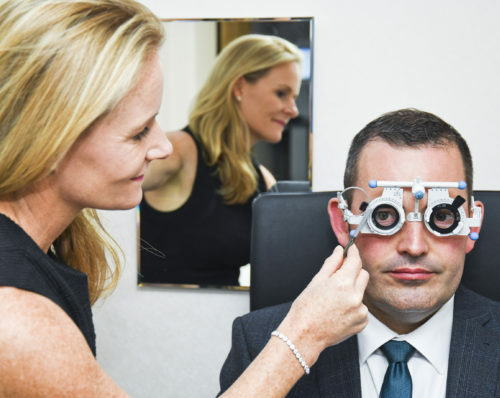 Roger Pope & Partners situated in the Harley Street area use the very latest equipment to provide one of the most thorough eye examinations available. Having regular eye examinations is the optimum way to maintain your eyes health and comfort. At Roger Pope & Partners, eye examinations are performed by a team of highly experienced optometrists. Your optometrist will ask you about any sight concerns you have and will take care to address these thoroughly. They will also ensure your prescription meets your individual requirements for your daily life.